Accommodation comprising a two bedroom flat, a bachelor flat and a single bedroom with bathroom at very affordable prices. Self catering accommodation, Hiking Trails. Hunters welcome. 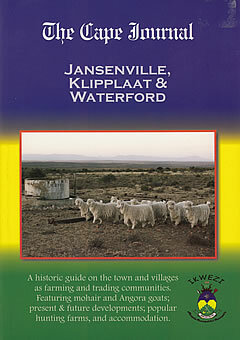 Located on the R75 5 kilometers outside Jansenville. Situated next to the Sid Fourie museum and the Mohair center/shop we are on the main road from Port Elizabeth to Graaff-Reinet. Stunning and stylish accommodation. Conveniently located in Bridge Street.